This week’s blog was originally published on the School of Systems Change blog. In it, David Finnigan shares insights into the process of creating 95 Years Or Less, a game about living systems made by Coney and commissioned by Forum for the Future for their School of System Change. In the Jambi Province of Sumatra, Indonesia lies 100,000 hectares of dense tropical rainforest, roughly the size of Greater London, surrounded by palm oil and timber plantations – ‘an island of biodiversity in a sea of palm oil’. The name of the forest is Harapan. The Indonesian government has just granted you a concession to manage the rainforest. You need to prevent it from cleared or burned for timber plantations. You need to protect the unique species that live in the forest, and restore the old growth forest. You need to engage the diverse groups of locals who live in and around the forest. And you need to find a way to earn money from the forest that doesn’t involve logging, because the funding you have won’t last long. You have 95 years, starting now. Harapan in South Sumatra. Image from Wikimedia. In November 2017, Forum for the Future commissioned interactive theatre company Coney, in association with Australian ensemble Boho, to produce a new game exploring Living Systems theory. 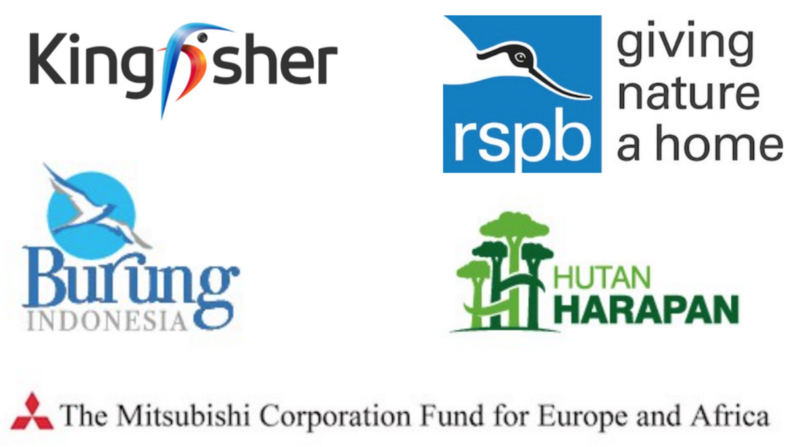 This project was made possible by support from Mitsubishi Corporation Fund for Europe and Africa, Kingfisher, and the RSPB, Hutung Harapan, and Burung Indonesia. 95 Years or Less uses the Harapan rainforest in Indonesia as the setting to explore some of the challenges facing us when it comes to managing complex ecological systems. Coney’s previous work includes The Green Gold Conspiracy, a game for Chester Zoo about deforestation and palm-oil. Boho’s games about systems science include Best Festival Ever: How To Manage A Disaster. Both companies regularly collaborate with scientists to develop games about different complex systems. This project, though, was very different to anything we’d done before, and an exciting challenge. 95 Years or Less was created by three artists: Nikki Kennedy, Toby Peach and myself (David Finnigan). 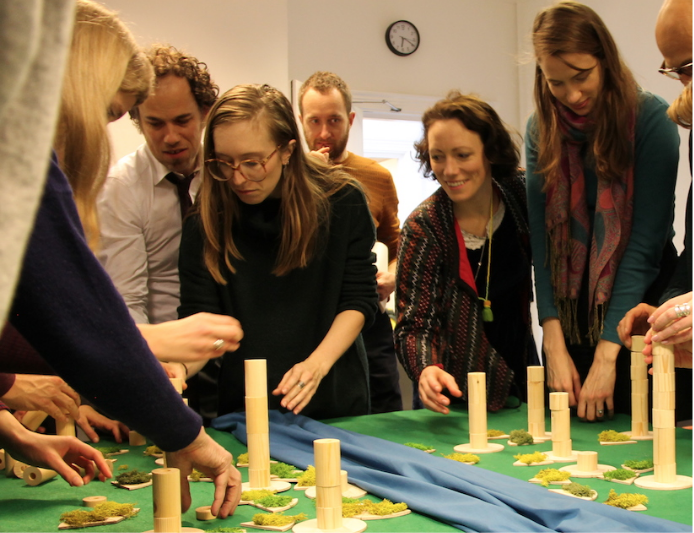 Our brief was to build a game for a group of participants to play around a table – starting with Forum’s School For Systems Change students, but also designed for teams in organisations who are grappling with these sorts of complex challenges. With a short lead time (less than a month to produce the first prototype) and a big topic, creating the game was a complex challenge in its own right. Harapan isn’t a fictional place – it’s a real system, with complex social and political dynamics, and we needed to honour those dynamics as best we could without being there on the ground. What is Living Systems theory? A lot of science teaches us that in order to understand something we have to isolate it, and look at it in fine detail. But in the real world everything is messy, everything is connected. A Living Systems perspective teaches us that in order to understand the world we can focus on the connections between things to better see the whole picture. Living systems are marked by impermanence and change. A month of heavy rains might be followed by two months of dry weather, just as your body might be healthy one day and run a temperature the next. Too often we approach change as a something we are working to prevent. This places us in a position of conflict with living systems, as we try to hold them in their current state. The alternative is to harness the energies of change, like a surfer rides a wave, in order to actively engage and see some order within apparent disorder and uncertainty. Within this natural environment we as humans are constantly creating social and cultural systems of our own, and sometimes we value these more highly than the living systems that surround us. Living Systems Thinking asks us to observe how natural systems work to in order to reflect on our own. How do you make a game based on a living system? Over the course of three (very packed) weeks, we created a systems model of Harapan, going back to our partners and expert consultants to be sure we’d understood the system correctly. Once we’d built up a rough understanding of the different sub-systems in Harapan and how they interact, we began devising games to capture some of the key dynamics at play. Because of the quick turn-around for this prototyping process, we quickly brought in designer Ben Jones, who began developing the design concept for the game – how will the players experience the world of Harapan? What’s the look and feel of the game? Ben began assembling materials and building us a rainforest. 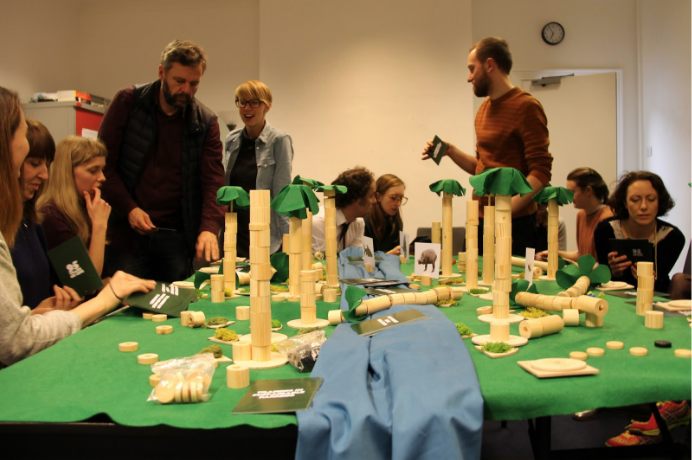 Only three weeks after the launch of the project, we gathered a group of participants together to playtest the game – now entitled 95 Years or Less. 95 Years or Less takes place around a table. Players begin by ‘growing’ the Harapan rainforest, compacting 300 years of climate and ecological growth into three minutes. We then explore the network of interactions between species. Harapan is famously home to Sumatran tigers and orangutans, but Forum for the Future didn’t want us focusing on these familiar charismatic megafauna at the expensive of its other unique inhabitants. Instead, 95 Years or Less looks at species such as the Thrip (a small aphid-like insect) and Harapan’s wild Bearded Pigs. 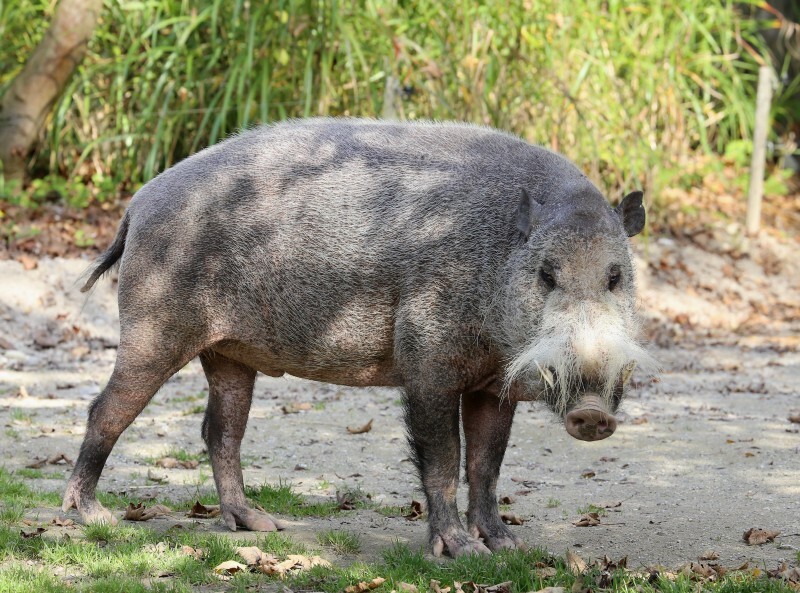 The excellent Bearded Pig. Image by Rufus46 via Wikimedia. In 2008 the Indonesian government awarded a 95 year lease to manage this area to a consortium of NGOs including RSPB and PT Reki. They have been given the task of protecting and restoring the forest, and this involves working with the local community and navigating a lot of complex challenges. It’s hard to do justice to these complexities in the space of a short game, but important to reflect them in some way. 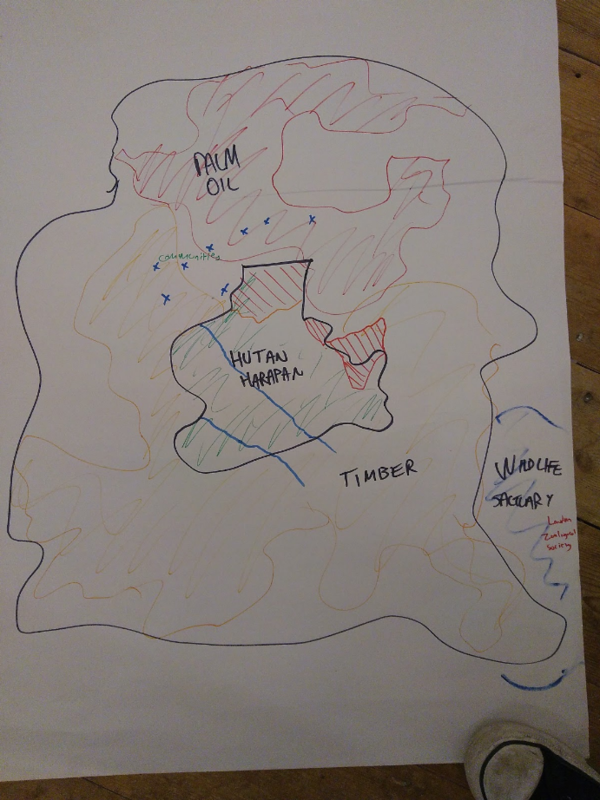 In our game, players took on the role of small-holders in the forest, making decisions about what to do with their patch of land, and exploring some of the different pressures they contend with. 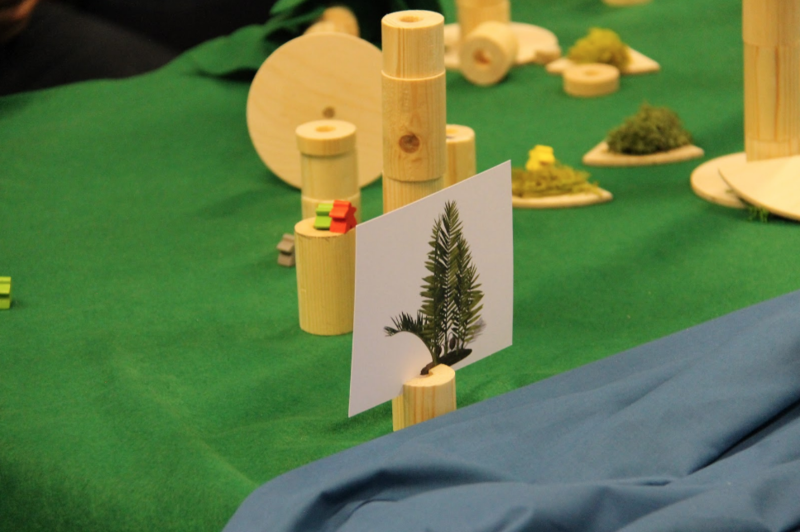 These games roughly relate to the Biophysical and Social sub-systems in the forest. 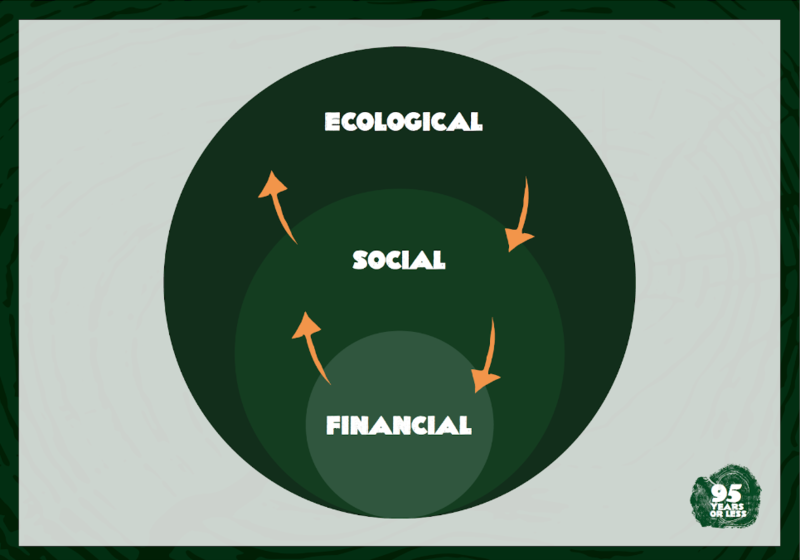 Over the course of the game, players make choices that determine how well the forest ecology will survive the next few decades. The most important part of the game, though, is the post-game debrief. In this discussion, players share the reasons behind their decisions, they debate their strategies, and they reflect on how the complex challenges of Harapan resonate in their own lives. The debrief, for us, is where the learning happens and where crucial connections are made. Through that lens, the game becomes less an end in itself, and more a means to prompt useful and thoughtful reflection. A game can’t teach you how to manage a complex real-world system. But a well-crafted game can make tangible some of the issues and questions that we need to consider – and can create the context for a rich and productive conversation. 95 Years or Less is now being delivered as part of Forum for the Future’s School of Systems Change base camp, and is available to present for bespoke groups. The response from players has been great so far, but we’re now looking to develop the work further. In the next iteration of the development process we want to explore another key aspect of the Harapan system: Economics. The consortium of NGOs running the forest regeneration projects in Harapan need to find a way to make the project financially self-sustaining – which raises new challenges. Harapan is a vital example of the kinds of complex systems we are grappling with worldwide, and this kind of game allows us to bring a different kind of perspective to that system. We’re really excited about the work so far, and the possibilities for this kind of approach.